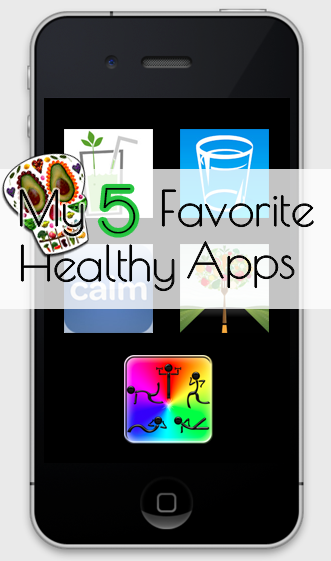 Today I wanted to share with you my favorite healthy apps! The saying ‘there’s an app for that’ couldn’t be more true. Applications, the latest vine in our technological evolution, represent how we consume information, track data, and socially interact. There are apps that allow you to explore sexual positions, increase your brain function, take care of imaginary horses, manage a home security system, or even analyze your poop. Do we need these apps to function? No, but they are entertaining and perhaps can be a tool for improvement, if you enjoy technological based tools. 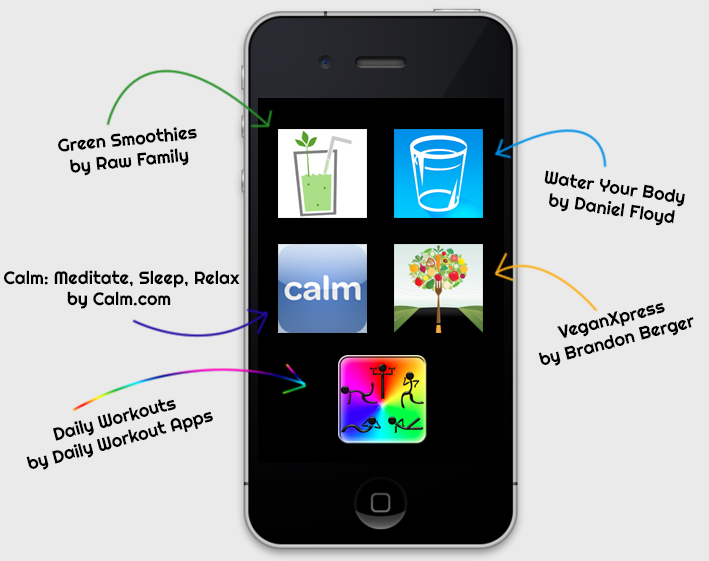 My favorite healthy apps cover everything from water tracking to meditation and even a vegan food choices app. Most of the apps I’ve had over a year and use on a regular basis. 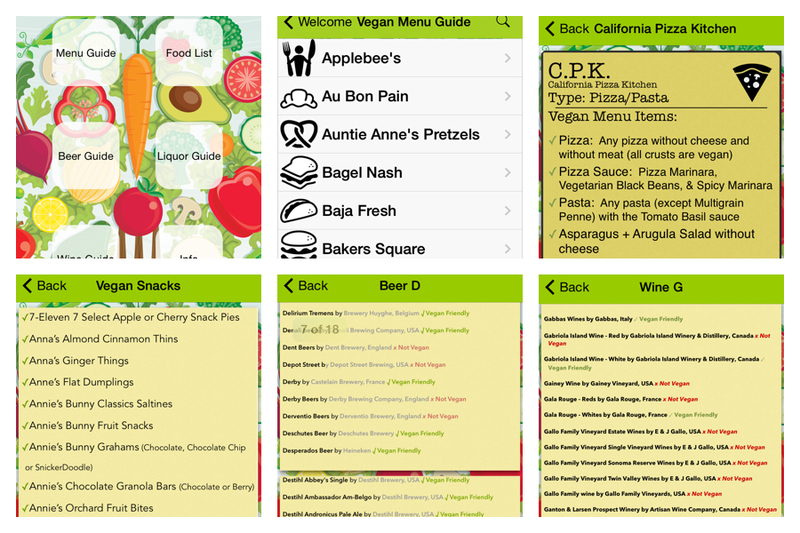 I’ve owned this app since my first iPod touch and treasured it from my early rawfood stages into my whole food vegan love present. 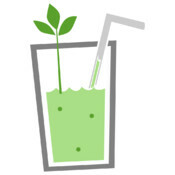 Are you looking for green smoothie inspiration? Meet the ultimate inspiration. 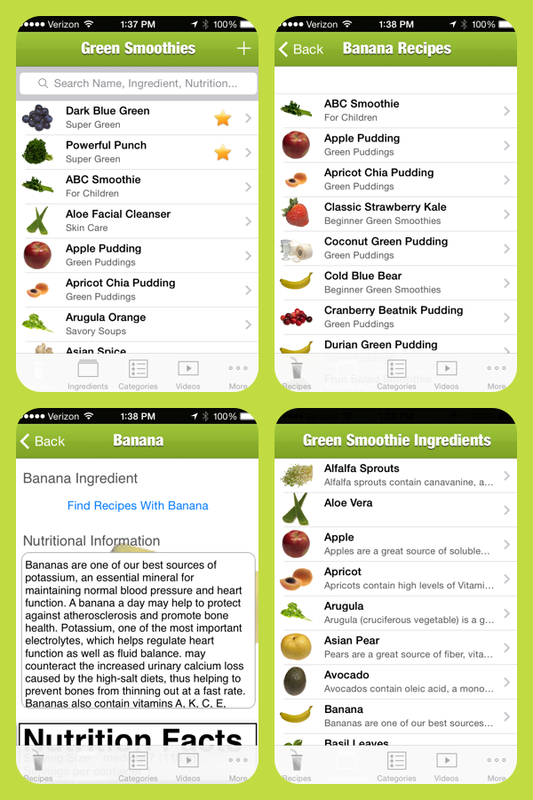 You can search via recipe names, ingredients, and categories (for pets, puddings, skin care etc). I love everything about the app but my absolute favorite function is the ability to search by ingredients. It is absolute perfection when you feel uninspired, just want to use something up, or if you have an ingredient and you aren’t sure where to begin…like sprouts or aloe vera. Select the ingredient and gain several recipes using that ingredient. I’m almost positive I didn’t drink water until after I graduated high school. I remember waking up with charlie horses on a regular basis and thought that was normal. Any liquid added to my body came in the form of milk, juice, or pop. I probably realized I needed to drink water from one of the health magazines I read in my early 20s and for a time I was a great water enthusiast. Something happened in the last few years—mentally—and I’ve found it harder to drink water. 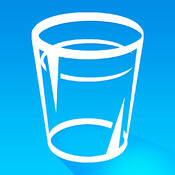 I’ve used this water your body app to jump-start my motivation and commitment to drink more water. On average it’s desirable to drink half your body weight in ounces – in water. +/- for other conditions like living in a dry climate, athleticism, existing dehydration, or pregnancy. 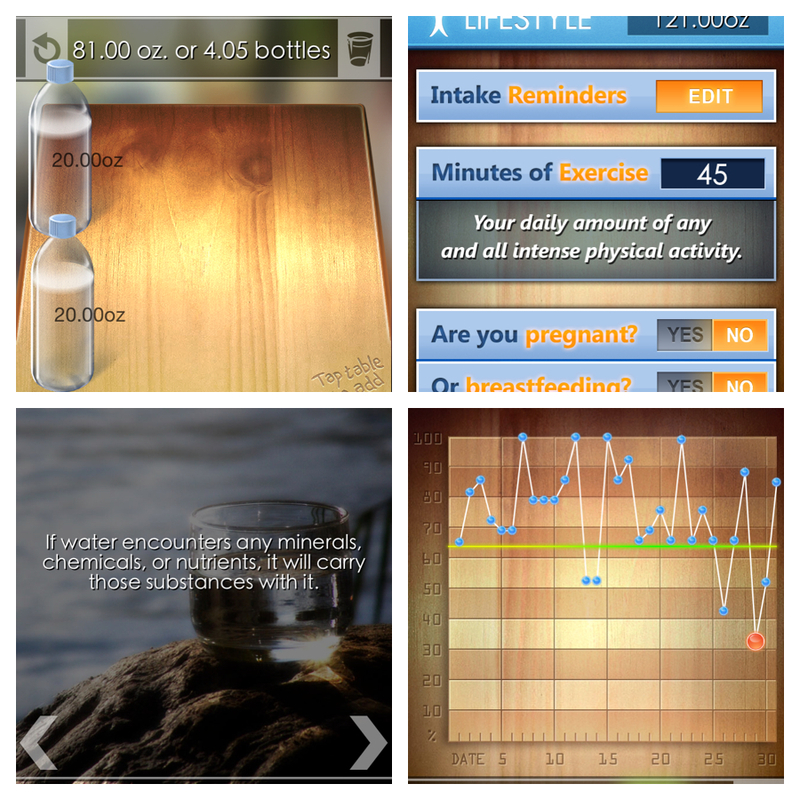 With this app you add your consumed water to the table. There are various bottle sizes and the quantity of each bottle can be changed (up to 33 oz at the most) to what you are using. To change a bottle’s quantity just tap the number of ounces or milliliters and enter in the keypad. This app has customizable settings, a graph showing your data from the last 30 days and water facts that enlighten and inspire. 3. 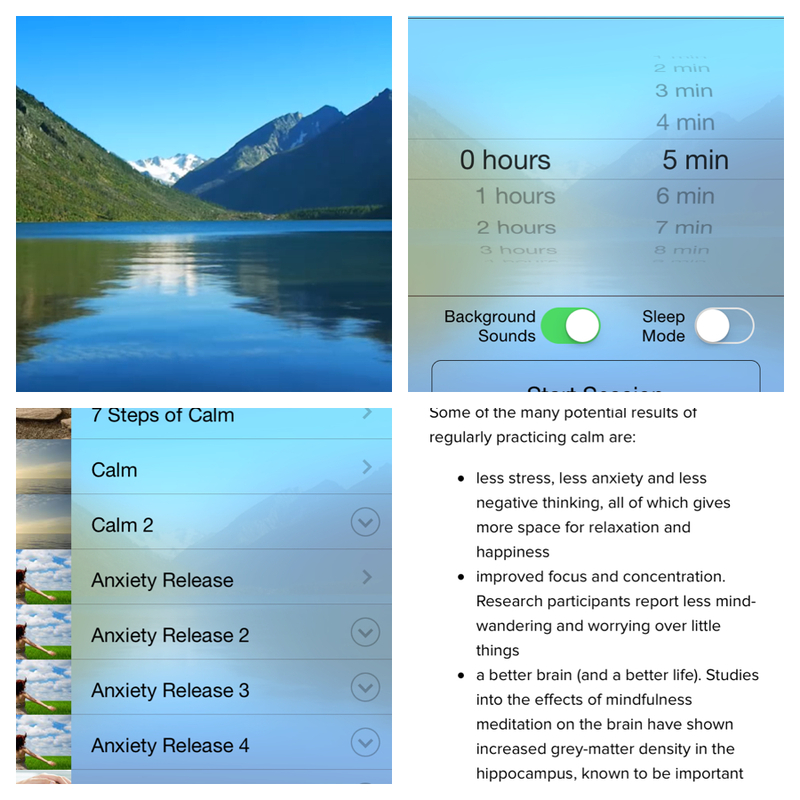 Calm: Meditate, Sleep, Relax – Free (comes with a few sessions) or 3, 6, and 12 month subscriptions for a wide variety of programs. I have a friend to thank for informing me in to this app as I’ve been on a somewhat elusive chase for a meditation practice. 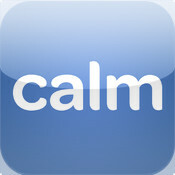 It’s a beautiful app with a wide variety of guided meditations. From the free 7 Steps of Calm to the anxiety and gratitude programs under the paid subscriptions there’s something for everyone. I freakity freaking love this app!! 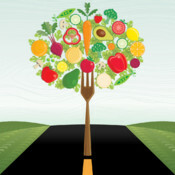 VeganXpress keeps tabs on all the edible and drinkable vegan things outside the realm of fruits, vegetables, and grains. Perfect for those traveling or new to veganism. Is this x, y, z food item vegan? You can look up food options for popular chain restaurants—perfect for road trips when there isn’t a lot to choose from! Search through beers, wines, snacks, and candy to find those that don’t contain animal products. Learn that there are actually 3 things you can order at Cracker Barrel—plain cooked baked potato, tossed salad, and oatmeal. And surprisingly one could get by at Red Lobster for those fancy family dinners out. 😉 Or that all of Smash Burger’s fried items are fried in beef tallow canola oil blend. Applebee’s, Au Bon Pain, Auntie Anne’s Pretzels, Bagel Nash, Baja Fresh, Bakers Square, Baskin-Robbins, Big Bowl, BJ’s Restaurant, Blimpie, Boston Market, Boston’s Gourmet Pizza, Bruegger’s Bagels, Buca di Beppo, Buffalo Wild Wings, Burger King, California Pizza Kitchen, California Tortilla, Caribou Coffee, Carino’s, Carl’s Jr., Carluccio’s, Carrabbas, Carvel, Cheesecake Factory, Chick-fil-A, Chili’s, Chin’s Asia Fresh, Chipotle, Chuck E. Cheese, Cici’s Pizza, Cold Stone Creamery, Cora, Corner Bakery Café, Cousins Subs, Cosi, Cracker Barrel, Culver’s, Dairy Queen, D’Angelo, Daphne’s Greek Café, Del Taco, Denny’s, Dickey’s BBQ Pit, Domino’s Pizza, Dunn Bros Coffee, Edo Japan, Einstein Bros. Bagels, El Pollo Loco, Extreme Pita, Famous Dave’s, Fatz Café, Fazoli’s, Flat Top Grill, Fullati Café, Great Wraps, Ground Round, Hardee’s, IHOP, In-N-Out Burger, Jack in the Box, Jamba Juice, Johnny Rockets, KFC, Kona Grill, K & W Cafeterias, Ledo Pizza, Legal Sea Foods, Little Caesar’s, Logan’s Roadhouse, Long John Silvers, Longhorn Steakhouse, Macaroni Grill, Maggiano’s Little Italy, Manhattan Bagels, Maui Tacos, McAlister’s Deli, McDonald’s, Melting Pot, Mimi’s Café, Moe’s Southwest Grill, Mr. Goodcents, Mr. Greek, New York Fries, Noodles & Co., Old Chicago, Old Spaghetti Factory, Olive Garden, On the Border, Orange Julius, Outback Steakhouse, The Palm, Pals, Panago, Pancheros Grill, Panera Bread, Papa John’s, Paradise Bakery, Pei Wei, Peter Piper Pizza, P.F. Changs, Pick Up Stix, Pita Pit, Pizza Fusion, Pizza Hut, Pizza Lucé, Potbelly, Qdoba, Quiznos, Rainforest Café, Red Brick Pizza, Red Hot & Blue, Red Lobster, Rib City, Roly Poly, Ruby Tuesday, Samurai Sam’s, Sandellas Flatbread, Sheetz, Smash Burger, Spicy Pickle, Starbucks, Steak ‘N Shake, St-Hubert, Stir Crazy, Subway, Taco Bell, Taco Cabana, Taco Del Mar, Taco Time, TCBY, Tim Horton’s, Toppers, Tossed, UNO Chicago Grill, Vocelli Pizza, Wendy’s, Yard House, Zaxby’s, Zero’s Subs, Zizzi, and Zpizza. Update: No internet connection required! Oooh! I’ve had this app for so long and it has stood the test of time. So much so that I bought the add-ons for ball workouts, stretch, and pilates. In our last apartment this was the only type of exercise I could do in our building that wouldn’t generate a ridiculous amount of noise (read: no burpees, yoga, etc) and I was very grateful. It made me realize I could write out 10 exercises of anything and time them for 30 to 90 seconds for a good but quick workout. You can pick between 5, 8, and 10 minute workouts. Workouts that focus on individual body regions—arms, legs, abs, or full body. You can even create a customized list of their exercises. This feature is great if you really don’t like, can’t do one of the workouts, or want to avoid equipment. 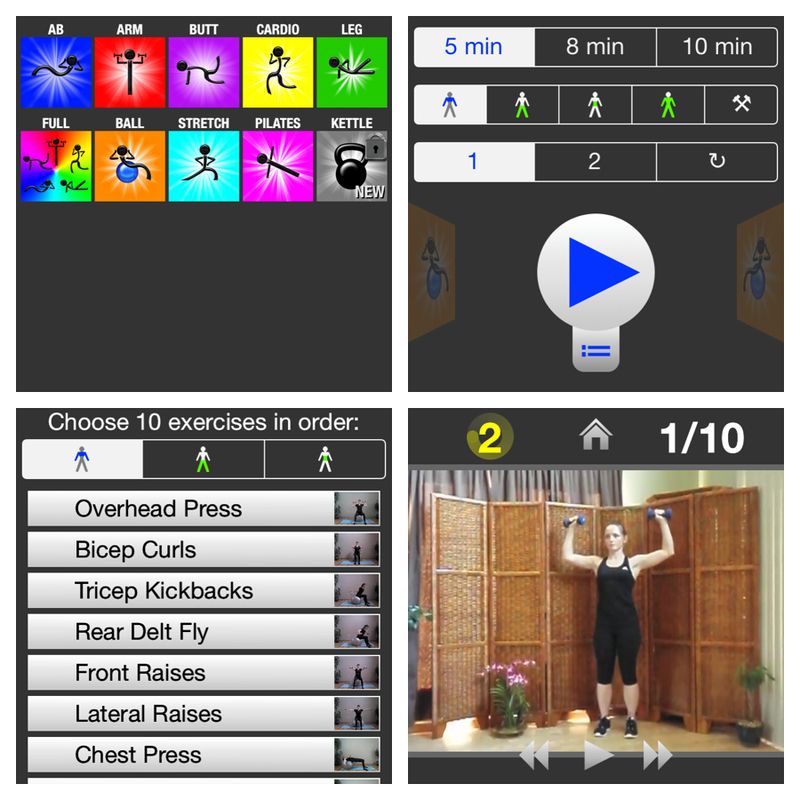 Each workout includes a video that demonstrates the exercise with voice over instruction, a countdown, pause/play option, written description of the exercise, reminder notifications, mail or social media your workout, and up to 3 variations of the workout set. Rotating the app’s exercises and doing this daily has helped tone all aspects of my body. 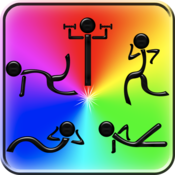 I think this is a great app if you are unfamiliar with weights and where to begin.